This course provides an intensive introduction to Geographic Information Systems (GIS) with an emphasis on solving common geological problems. The ultimate goal of this course is to provide a solid GIS foundation and toolset with which the students can then tackle more complex problems on their own. Topics covered include topographic analysis, hydrological modeling, vector topology, geologic mapping, projections and datums, python scripting, etc. 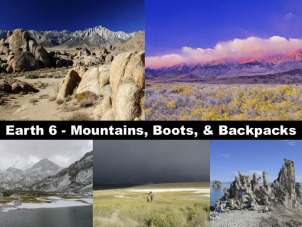 This course is designed to serve as an introductory field experience for non-majors to introduce both the scientific method and basic geological concepts using numerous field techniques and the wonderful diversity of landforms and processes available in the Owens Valley and high Sierra Nevada landscapes. This is a 10-day field and writing intensive course based out of the Sierra Nevada Aquatic Research Lab. It is loads of fun also!! 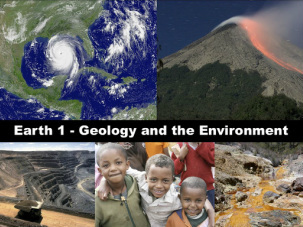 This course is designed to serve as an introduction to the complex linkages and interactions that take place between society and earth processes. Our population has grown exponentially over the last century while the earth and the resources on which we depend have remained finite. Understanding how we interact with and rely on such resources and earth processes is imperative to protect our livelihood and safety as a society, and ensure the future success of generations to come.